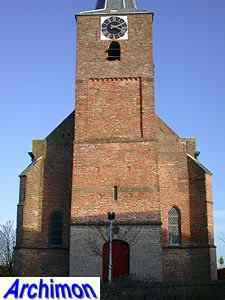 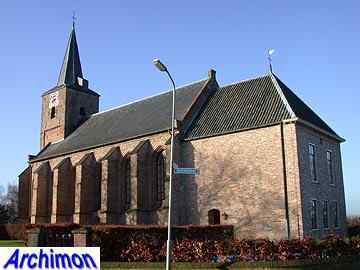 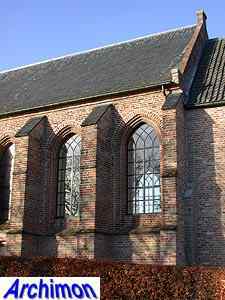 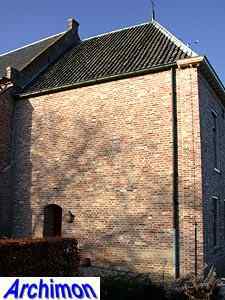 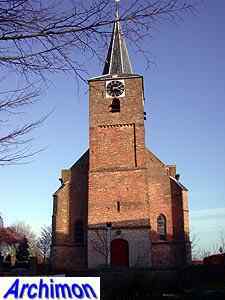 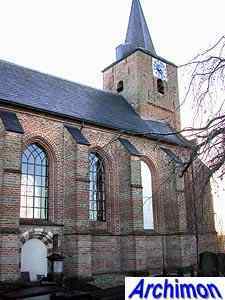 The church of Erichem, originally dedicated to St. Joris, is a small one-aisled building. 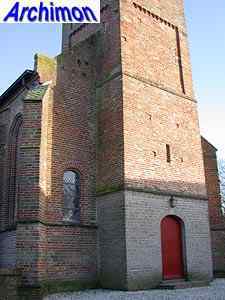 Its oldest part is the tuff lower part of the tower, which dates from the second half of the 13th century. 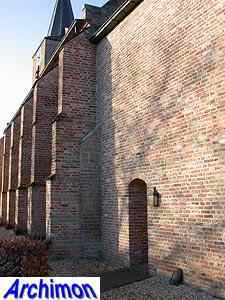 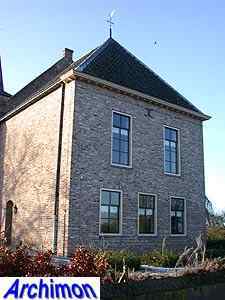 In the 14th century the brick upper part was built, which features Romanesque details. 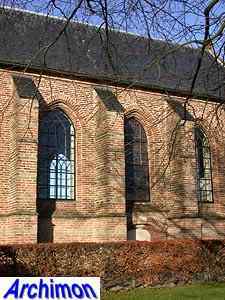 The nave was built in ca. 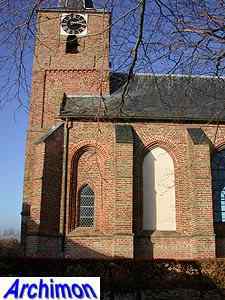 1500 and is in late-Gothic style and mostly built of brick. 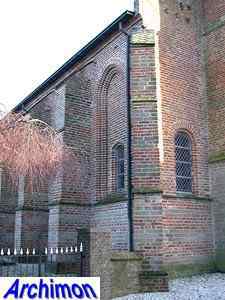 Both brick and tuff were used for the buttresses. 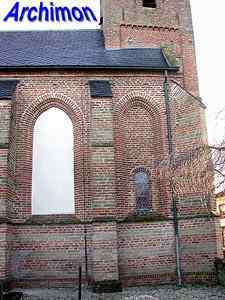 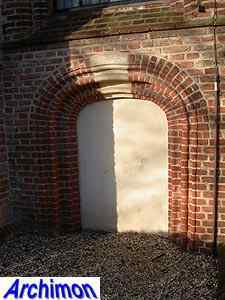 The tuff probably remained of the church's predecessor and was re-used in decorative layers. 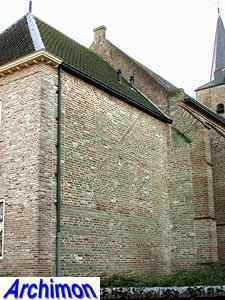 The choir from the 15th century was later demolished, except for parts of its walls which were incorporated in a consistory. 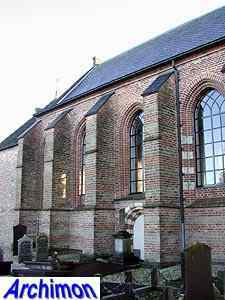 During a restoration in 1979-1981 the consistory was heightened with a second storey, now blocking the gable at the east end of the nave.